BROOKLYN — In its last fiscal year, from July 2009 to June 2010, Masbia, the kosher soup kitchen organization, opened three new kitchens with the help of the Metropolitan Council on Jewish Poverty and United Jewish Appeal-Federation of Jewish Philanthropies. 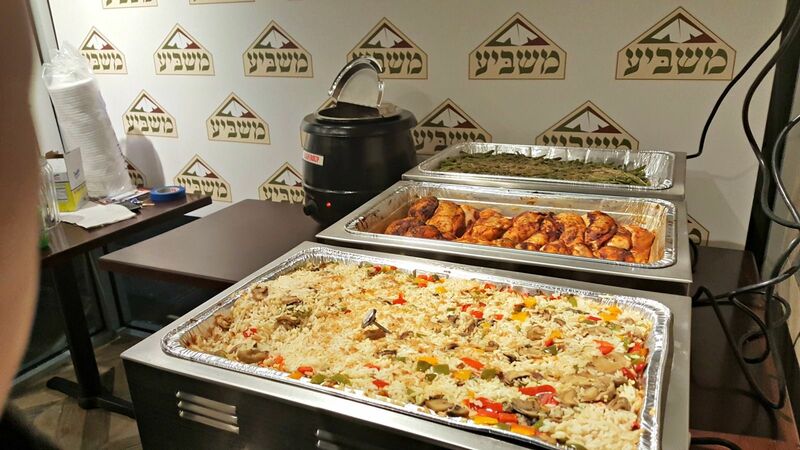 In addition to its original kitchen in Borough Park, Masbia now has one in Williamsburg, one in Flatbush and one in Rego Park, Queens. In this year of transition from one kitchen to a four-kitchen network, the organization served 55,923 meals. This fiscal year (’10-’11), with all four kitchens fully operating, Masbia has served 82,292 meals. That’s a 50 percent increase from last year and this year’s still not over! This year, Masbia also established a weekend take-home packages program at its soup-kitchen facilities. Through this program alone, it has given out 68,522 meals for people to take home, handing out more than 10,000 variously portioned packages of food. Tallying up counts from this current year, Masbia has served 150,814 meals in total. This means Masbia is experiencing an almost 300 percent increase in meal distribution. Alexander Rapaport of Masbia says, “With all these amazing growing numbers, our costs have also grown immensely and we are experiencing a large budget deficit for this fiscal year. MASBIA is almost entirely funded by private donations and with the fundraising help of the Met-Council and UJA.” For more information, log on to www.masbia.com.